When it comes to breakfast, my family tends to choose sweet over savory any day of the week. This means dishes like pancakes and waffles. But our absolute favorite breakfast is French toast. Any form of it. We bake it, we fry it, we make sticks. 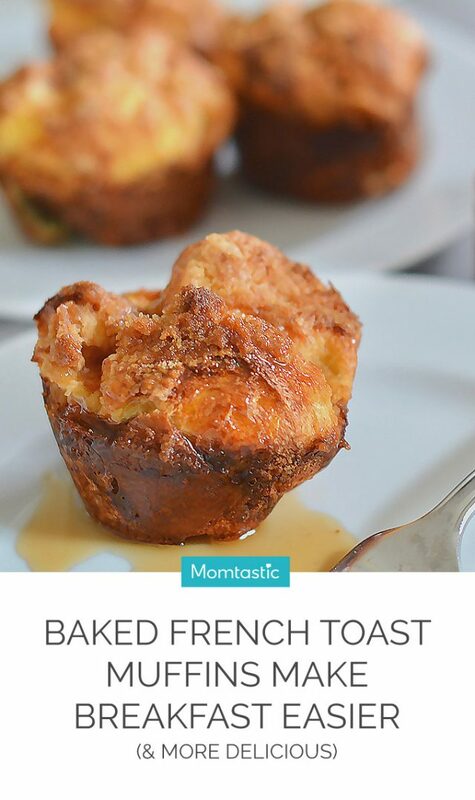 But recently we tested out French toast muffins and this now tops our list as the easiest and most delicious breakfast ever. 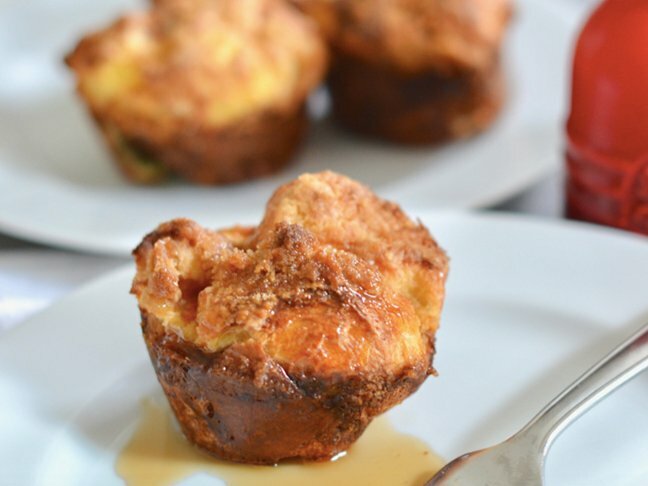 See, French toast muffins have all the same flavors as the favorite breakfast classic, but in bite-sized form! You get all that cinnamon-sugar goodness of regular French toast (plus a crunchy streusel topping) without having to dip or fry the bread! 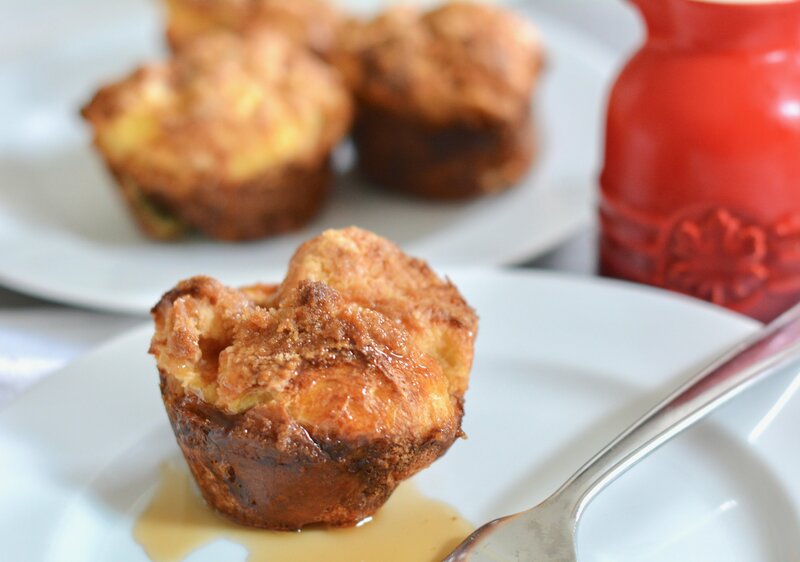 And what I love most about these French toast muffins, is that they’re made with pantry staples. Just grab a loaf of your favorite bread (we prefer challah bread but any bread will do), cube it, toss the bread into the liquid mixture, place into muffin tins, sprinkle with the topping and bake until golden brown and delicious! 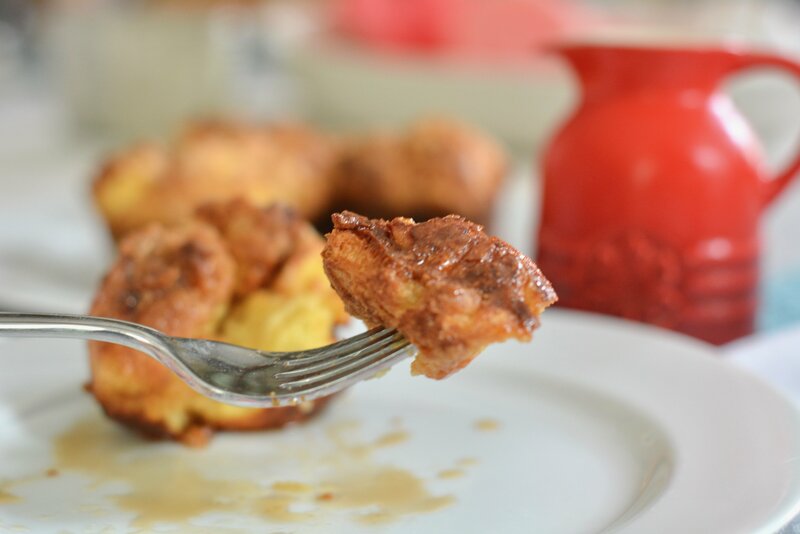 This baked French toast muffin recipe is fast, easy, and perfect for brunch or a holiday breakfast, but it’s do-able even on busy weekday mornings. Try it out this week! Step 1: Preheat the oven to 350 degrees F. Butter and flour 8 muffin tin cups. Step 2: In a large bowl whisk the eggs, milk, sugars, cinnamon, and vanilla until smooth. Add the bread chunks and very gently toss them into the wet mixture. Let them soak for about 5 minutes. Step 3: Distribute the bread evenly among the 8 muffin cups and drizzle any remaining wet mixture on top of them. Press the bread down to make sure everything is absorbed. Step 4: Make the streusel by pinching all of the ingredients by hand in a mixing bowl until they form small pebbles. Then, evenly distribute onto the top of each muffin. Step 5: Bake the muffins for 20-25 minutes, watching to make sure the tops don’t burn. Bake just until they are set. Step 6: Remove from the oven and allow to set for 10 minutes, then carefully remove the muffins from the tins and serve each one with maple syrup!